Let me tell you a little about Guy. 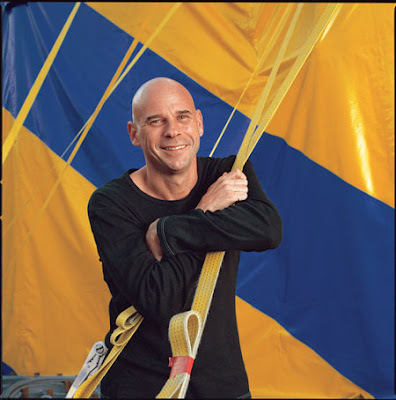 Guy Laliberté, (born September 2, 1959 in Quebec City, Quebec, Canada) is the founder and chief executive officer of Cirque du Soleil. Starting out as an accordion player, stiltwalker and fire-eater; Laliberté created his circus which is a synthesis of all circus styles around the world. In 2006, the 95% share 1.2 billion dollar Cirque Du Soleil was named the Ernst & Young Entrepreneur of the Year. 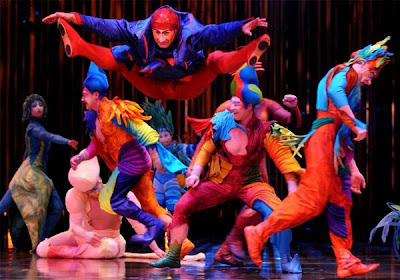 We have watched Cirque du Soleil on television and plan on going to a live production with Pix and Dan during the first of December. Sarah and Jeff saw the fantastic production, "O". while they were in Las Vegas. 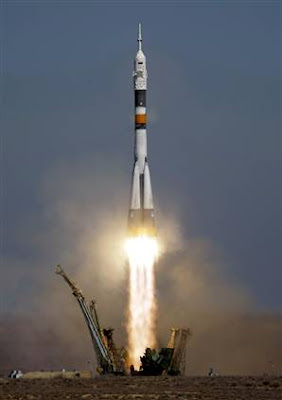 Billionaire entertainer Guy Laliberte rocketed into space in a Russian Soyuz craft this morning (Wednesday 09/30/09), heading for the world's highest stage. The Cirque du Soleil founder, along with two professional astronauts from Russia and the United States, lifted off from Russia's Baikonur Cosmodrome in Kazakhstan for the International Space Station. Laliberte flashed a thumbs-up sign during the ascent to orbit. 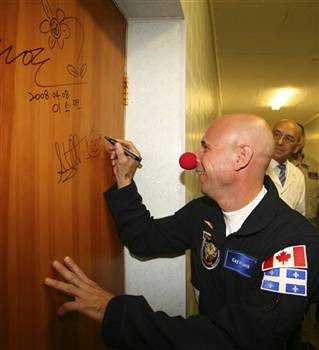 Laliberte, the world's first "space clown," was cheered by supporters wearing red clown noses when he and his Soyuz crewmates arrived at the launch pad. Canadian Laliberte, NASA's Jeffrey Williams and Russian cosmonaut Maxim Surayev sang the pop song "Mammy Blue" as they climbed into their capsule. Among those cheering were Laliberte's wife, former model Claudia Barilla, and Quebec singing star Garou. The Soyuz is due to dock with the space station on Friday. During Tuesday's buildup to the launch, Laliberte joked that he would tickle fellow astronauts while they sleep on the station. But the impish billionaire, who also plans to hand out his trademark clown noses to the crew, told reporters that his $35 million excursion into orbit has a serious purpose: promoting awareness of the world's growing shortage of clean water. The 50-year-old Canadian tycoon plans a global broadcast from the space station Oct. 9 to promote his One Drop Foundation, which focuses attention on the state of the globe's water resources. Former Vice President Al Gore and Colombian pop star Shakira are among the activists and celebrities expected to contribute to the broadcast, to be shown on the foundation's Web site. The performance "will be a poem that will be read to the population on Earth in 14 different cities, across five continents," Laliberte said. "When I first started Cirque du Soleil, I dreamed of seeing all 6 billion people on the planet wearing that little red nose, which for me is symbolic of happiness," he said. "After 25 years, I realize it is not just a question of a clown nose, it is a question of having a glass of clean water every day." He told reporters he had been tickling his fellow astronauts during training, and planned to tickle them in their sleep aboard the space station as well. "I'm going there with my sense of humor and my belief that even if sometimes in life we have to do hard work, there is always room to keep humor present," he said. Laliberte's stay on the space station is scheduled to last nine days. He'll return to Earth with Russia's Gennady Padalka and NASA's Michael Barratt, who have been on the space station since March. Here are a few photos from Shepherdstown this weekend. 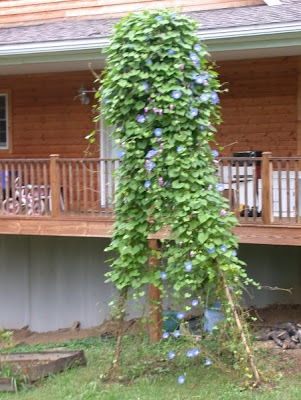 The Heavenly Blue morning glories are climbing up the tent poles by Rachael and John's house. They are a favorite of ours. Lucy was riding her scooter. 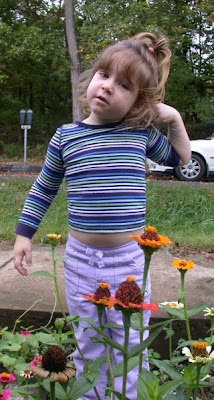 She stopped to pose for grandpa. 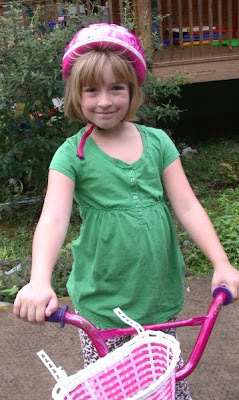 Speaking of bicycling, here Miss Flora is on her pink cycle. 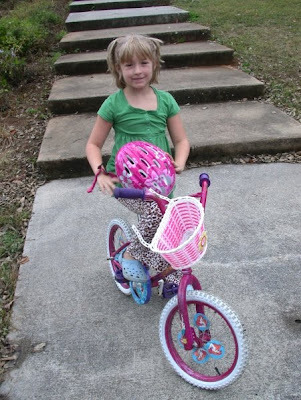 She has really learned to ride that critter! 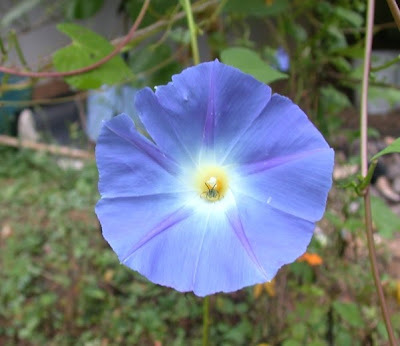 I am always ready to take photos of flowers. The leaves are falling, so frost can not be far behind. 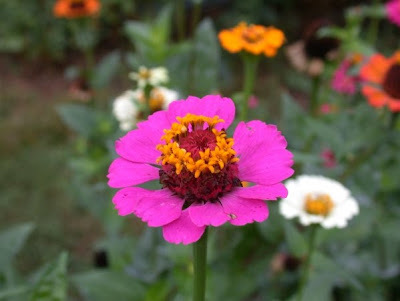 The flowers will soon be fading, but they were still donning their bright colors this past weekend. Flora, Rachael, Lucy, Grandma and I walked to the Rumsey Monument park. Flora rode her bicycle and Flora had a stroller that was powered by her Mom. Flora is such a sweetie (as are all the grandkids!) 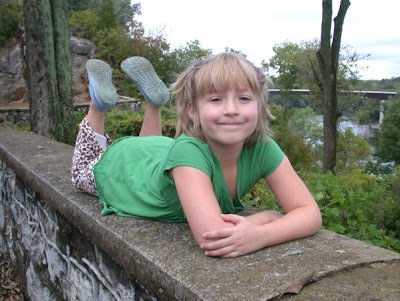 and she decided to pose on the wall by the monument. We arrived in Shepherdstown on Friday and stayed until Sunday. 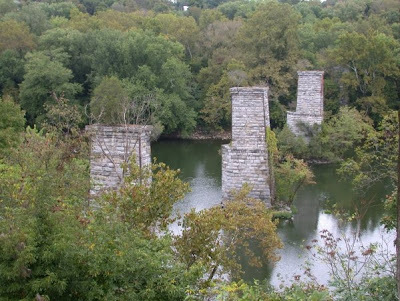 I leave you with the Potomac River and the old railroad bridge supports. Millions of Monarch butterflies migrate to Mexico for the winter and scientists have long speculated on how the insects find their way. Turns out, their antennas are the key. How do we know? Well, researchers painted butterfly antennas black, and the insects got lost. 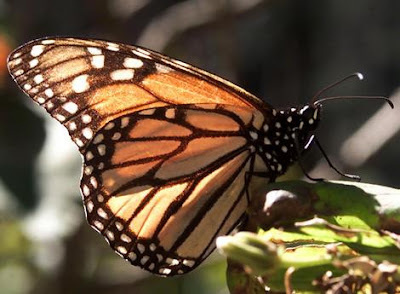 Managing to fly south may not sound like a big deal to people armed with maps and GPS receivers, but all butterflies have for navigation is the sun in the sky.And the sun keeps moving, so the little creatures have to constantly adjust to stay on course throughout the day. Like most animals, Monarchs have a so-called circadian clock in their brain that helps them know what time it is. Knowing the time and the position of the sun allows them to orient to the south. 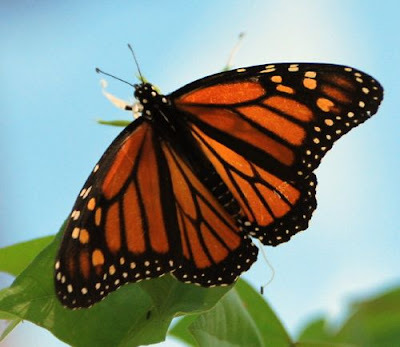 But Monarch butterflies have a second clock based in their antennas, which also sense light, according to the new study led by Dr. Steven M. Reppert, chairman of neurobiology at the University of Massachusetts Medical School. "Whatever we learn about the insect ... is going to tell us a little bit more about how our brain works," said Reppert, who studies the internal clocks in the brains of animals, including people. Plus, he added in a telephone interview, "it's fascinating biology that's begging to be understood." Researchers had thought the navigation took place in the brain of the butterfly, but this experiment shows that the brain and antenna each has a circadian clock and they work together, he said. The researchers, whose study appears in Friday's edition of the journal Science, did the test by holding the butterfly wings gently and dipping their antennas in enamel paint. The ones with black paint were unable to orient to the south, they found, while butterflies whose antennas were coated with clear paint had no trouble navigating. That not only showed the antennas were sensing light for navigating, it also showed that the sense of smell isn't involved in finding the way, since both paints blocked that ability. And, since the animals with black paint got lost even though their eyes were able to see light, the researchers concluded the antennas were vital to finding the way. Butterflies whose antennas were surgically removed also became disoriented. Charalambos P. Kyriacou of the University of Leicester, England, said the experiment indicates that the antennas serve as a sort of stand-alone global positioning system for the insects. "The antenna clock appears to override any input from the brain clock for navigation," Kyriacou, who was not part of Reppert's research team, said in a commentary on the report. Reppert's research was funded by the National Institutes of Health. Just a fast update. My infusion of ABVD went well on Wednesday. 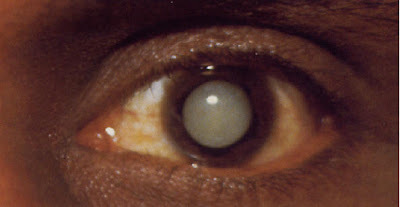 Judy had her cataract surgery on Thursday. (The photo above was pulled from the internet - Judy's was not this bad!) I have been a good nurse and placed the eyedrops properly into the eye (not ear, nose, or on forehead!) We are over the medical hump for this week. Many thanks to Jeff and Sarah (and the boys) for hosting us this week. 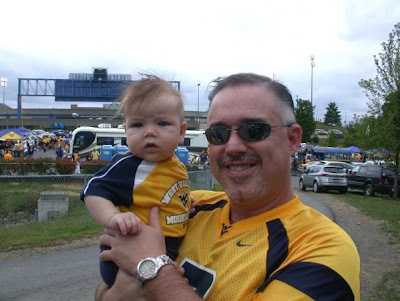 Will be happy to see our Shepherdstown family today! 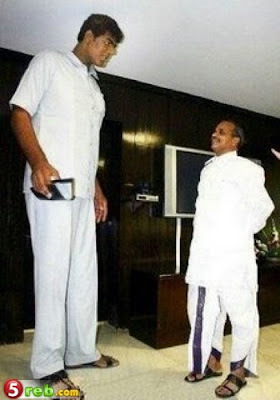 Tallest Man In The World? If you were watching the Today show on Monday morning, you most likely saw this fellow. Sultan Kosen, dwarfing Meredith Vieira and Matt Lauer, has the world's largest hands and wears a size 22 shoe. A towering Turk was officially crowned the world's tallest man last Thursday after his Ukrainian rival dropped out of the running by refusing to be measured. Guinness World Records said that 8 foot 1 inch (2.47 meter) Sultan Kosen, from the town of Mardin in eastern Turkey, is now officially the tallest man walking the planet. Although the previous record holder, Ukrainian Leonid Stadnyk, reportedly measured 8 feet 5.5 inches (2.57 meters), Guinness said he was stripped of his title when he declined to let anyone confirm his height. Stadnyk, 39, told The Associated Press he refused to be independently measured because he was tired of being in the public eye. Yes, today is the first day of fall. 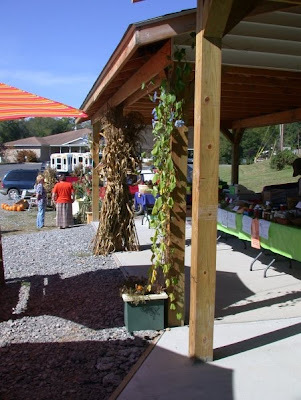 The Farmers Market in Glenville was hopping this past Saturday. 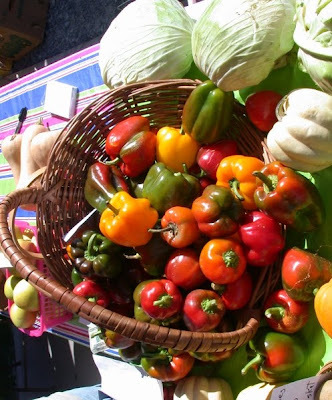 The vegetables and fruits are amazingly beautiful! What a glorious day! The corn stalks, pumpkins, apples - all speak of this fall season. John Bennett and Sadie Kelble discuss the many activities that were occuring this day. The Tanner Festival, estate auctions, and the Trapper's Reunion were all happening this morning. 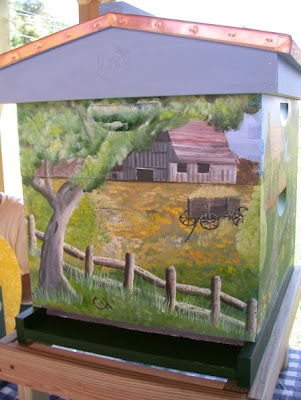 Mom Meads and I bought raffle tickets on this lovely English Garden bee hive. Love to win it, but possibility tis slim! Judy is visiting with David Rich. 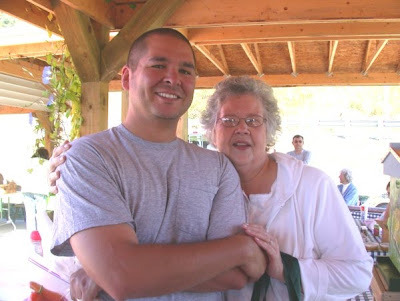 Dave is a former student who now teaches at our federal prison complex. This lass is showing us her new puppy! 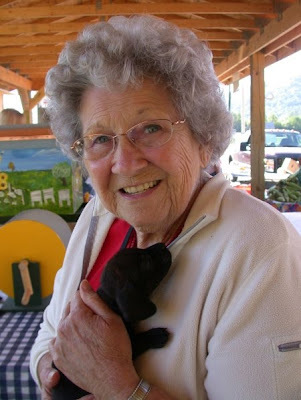 Grandma Great Meads had to get into the puppy cuddling. Gosh, there is nothing like puppy breath. 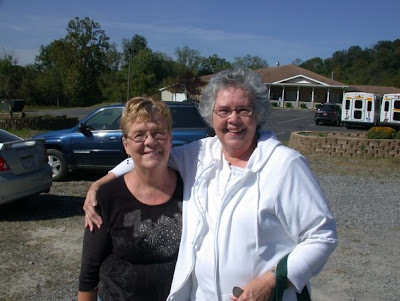 Judy and Sharon Phares share cuddle time! The Meads family is a "huggie" family so, when we see you, be prepared to be hugged! 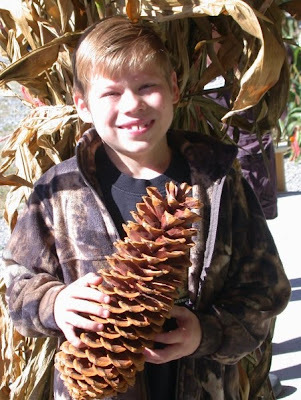 Here is Logan with his prize pine cone. 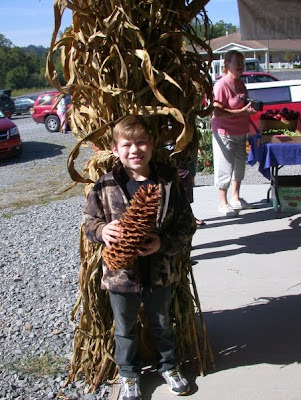 Logan received this wonderful cone from Mamaw Sharon. It was collected out West and made it's way into Gilmer County. 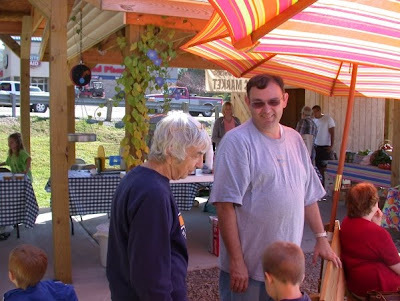 I thing we have said many times that the Farmers Market is such a community coming together. 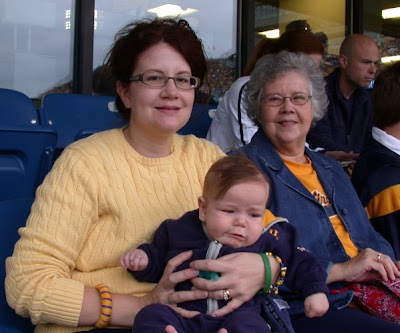 Our friend Judy Steele poses with Grandma Great. 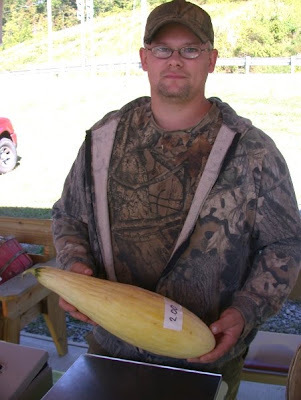 Here is Ronnie who has his garden in Calhoun County and specializes in heritage vegetables. Ronnie was selling these banana melons. Grandma Great bought his last one. It was very tasty! 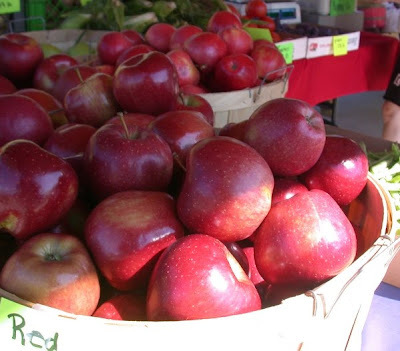 The Farmers Market will probably close in the next few weeks for the winter season. We will always look forward to more visits in the future. On Saturday we traveled to Stonewall Jackson Resort (near Weston, WV) to celebrate the wedding of Colin Ricks and Elizabeth Hardman. We were invited by Elizabeth's parents, Tom and Susan Hardman of Spencer. 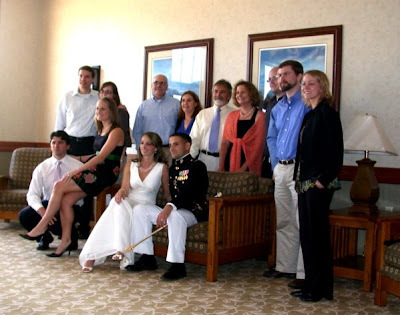 The couple was married earlier in Charleston, SC, and they were celebrating their marriage this day by having a special reception locally for family and friends. Colin is in the marines. He and Elizabeth make a great couple. 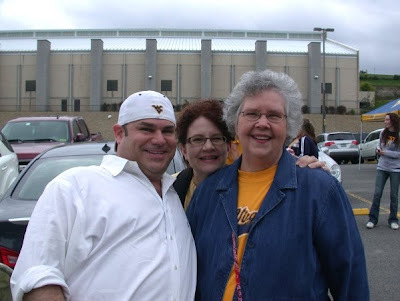 Mom Meads went with us to the celebration. It was a wonderful luncheon with family and friends. 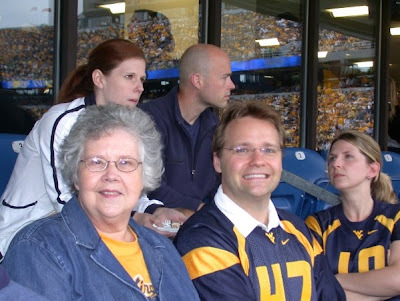 Sister Judy and Bill were also present at this special occasion. 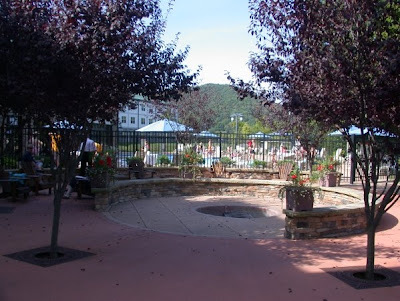 If you have never been to Stonewall Jackson resort, it is worth the trip. 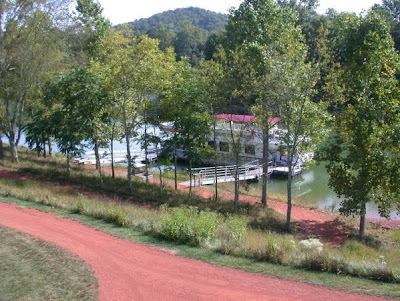 Stonewall Resort blends luxury accommodations, lakeside cottages, spa services and golf with water sports and outdoor recreation. 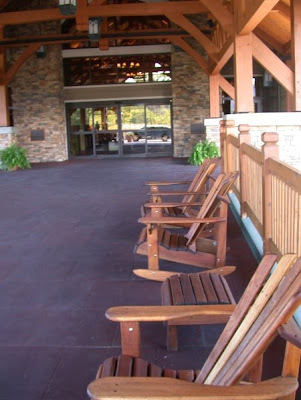 Set among lush, rolling hills overlooking Stonewall Jackson Lake, the Adirondack-style lodge features spacious guest rooms and suites, outstanding restaurants. I am posting a few photos of the resort. 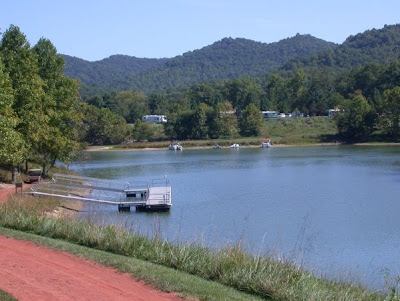 The outdoor swimming pool is behind the lodge and beside Stonewall Jackson Lake. It was busy this day. Near the pool is the docking area for the 125 passenger cruise boat. 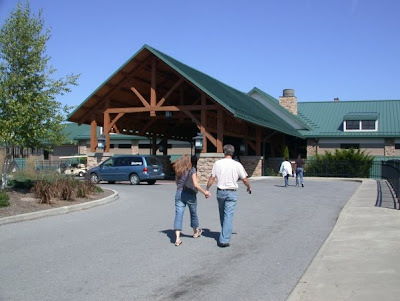 There are three restaurants on the property. 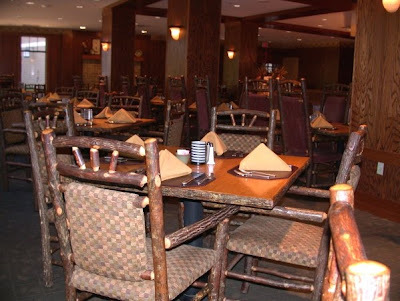 We love the furnishings of the main lodge restaurant. We have eaten here several times and found the food to be super! Our thanks to Colin and Elizabeth Hardman Ricks for allowing us to participate in their special celebration. It was certainly a good afternoon! Our grey squirrels have been going crazy with the hickory nuts! At least they are using the table and fireplace planter in the backyard! Hard mast in our neck of the woods seems to be abundant. Mast refers to specific kinds of fruits of woody species. Hard mast possesses a hard exterior, as in acorns, while soft mast has fleshy fruits as in berries. 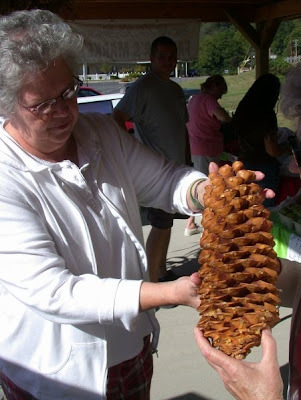 Both forms of mast are important in the diets of southern wildlife. 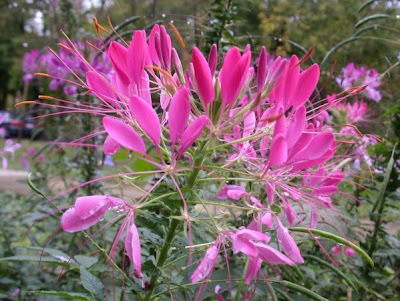 Many southern woody plants produce mast. Mast yields are unpredictable from one year to the next, and vary according to species, location, and weather. The following report from the Hur Herald indicates that overall mast is really minimal this season! Guess our squirrels should be appreciative. Wildlife officials in Charleston are saying there will be a serious shortage of mast - nuts, fruits and other wildlife foods this winter. According to Division of Natural Resources biologists, this year's mast crop is the worst in the survey's 40-year history. "There's always some mast out there, and there are always some areas of relative mast abundance," said DNR biologist Randy Tucker. "But what is out there this year is really spotty. Overall, the food situation is dismal," he said. This year, every wildlife food item except dogwood is running below the Mast Survey's long-term average. Beechnuts are running 46 percent under their long-term average; walnuts, 23 percent; hickory nuts, 22 percent; white oak acorns, 48 percent; chestnut oak acorns, 64 percent; black and red oak acorns, 42 percent; scarlet oak acorns, 32 percent; black cherry, 30 percent; apples, 66 percent; and crab apples, 39 percent. "Ordinarily, you don't get shortages of hard mast items and soft mast items in the same year," Tucker said. "This year we did. It's kind of a double whammy." The DNR expects the shortage to have short-term and long-term effects on Mountain State wildlife. "If we have a really hard winter, some animals won't have the energy reserves they need to survive harsh weather conditions. If we get a late freeze or a big snowstorm in March or April, there's a good chance we might get some winter-kill, especially among deer," Tucker said. There will also be a reduction in breeding. DNR officials avoid using the term "mast failure," but Tucker said there's no other way to describe the situation. "The grocery store [for wildlife] is pretty empty right now," he said. The internet function is fast and efficient. 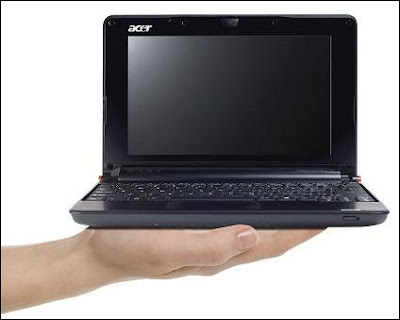 The netbook also has a built in web cam and microphone for conferencing. 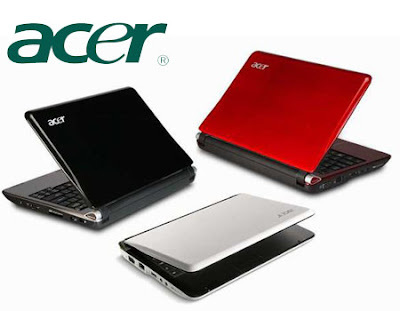 We had installed Microsoft Office and an antiviral program. Judy used it at the Folk Festival meeting this past Tuesday. 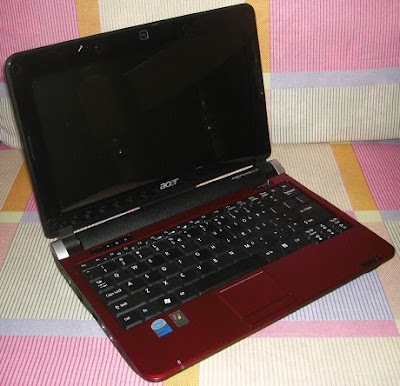 This little computer did an amazing job! She was able to take minutes during the meeting. She came home with the minutes completed! In the past, Judy (Folk Festival secretary) took notes by hand and then typed them into the computer. The hand written method was not very efficient. 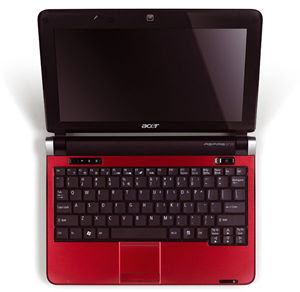 I would recommend a netbook for those who desire portability and easy internet access. Good Morning! Someone asked, " Who reads your blog?" I can answer that! 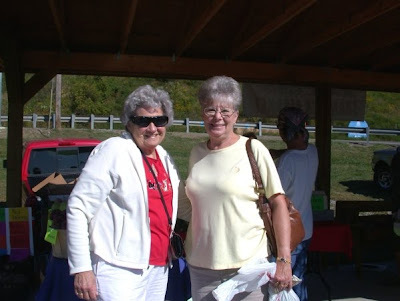 I always am amazed at the number of folks who come up to me and say how they appreciate reading the Meads Family Blog. 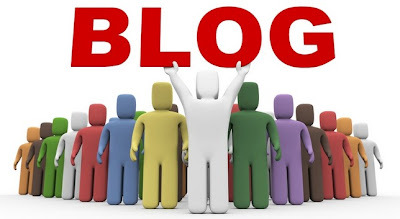 I thought I would share with you the locations of those who are visiting the blog. This past month we have had 13, 763 visits from 94 countries/territories. Here is the breakdown for your perusal. Tracking of the blog is accomplished by Google Analytics. This is a neat program that provided all kinds of data on your blog. Thanks to my friend, Lee, who provided the information for this tracking site. I can access the countries to see which region the visitors originate. For example, if I click on Russia, I see the 9 visits and their locations. 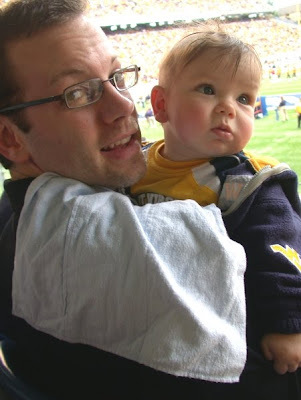 On Saturday we went to Morgantown with Jeff and Sarah (and Nate - Sammy was off to a birthday party) for our first WVU game of the season. 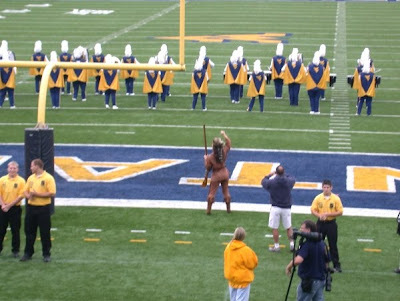 As you can see, WVU won - only because we were there! 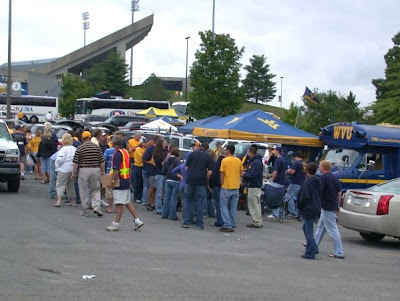 This biologist is always impressed with the efforts folks take to tailgate. Food and drink (did I say "DRINK"!) were abundant in the parking areas. 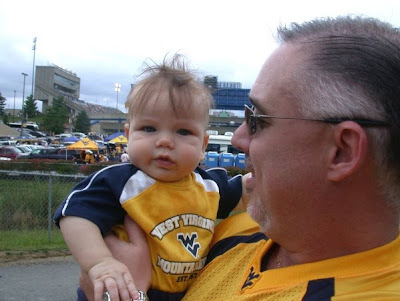 Nate donned his WVU blue and gold for the event. 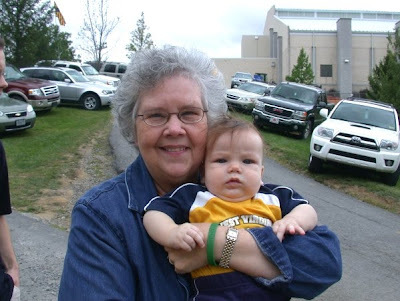 Grandma is just a wild and crazy gal when it comes to the grandkids! It was a great time to see old friends. We were joined by a special lad, Dr. Chris Kennedy. Chris is one of our students who is part of the Meads family team. 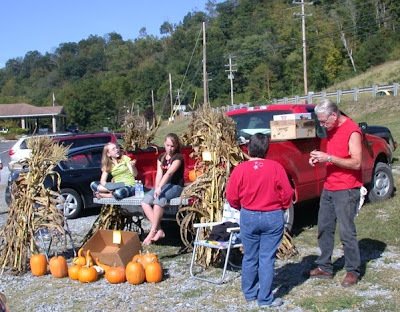 He is now operating a medical clinic at Jane Lew, WV. Bill Foster also met us. Bill is a lawyer in the hamlet of Charleston. 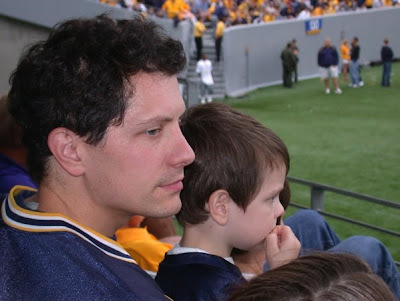 He is a Gilmer High Scool graduate and went to Shepherd with our girls to complete his undergraduate degree. 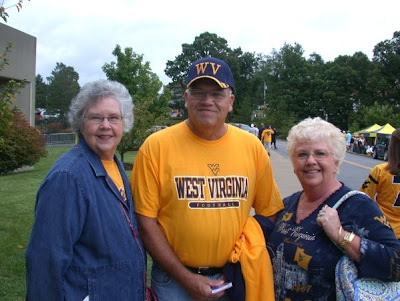 As we entered the stadium, Dave and Karen Cook were getting ready to enter and enjoy the game. 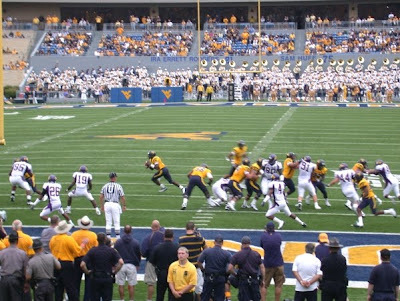 It was a sellout crowd in Morgantown. 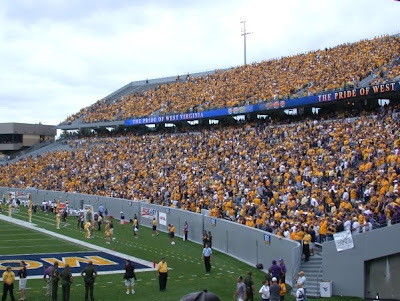 The stadium was ablaze with gold shirts. 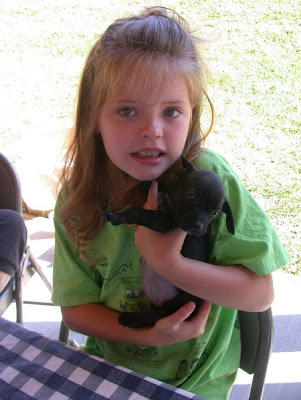 Sammy was not with us because he was at his friends's birthday party. 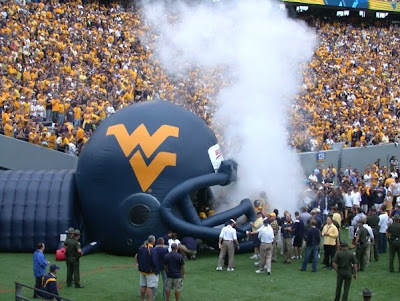 He always wants to know when the team will come out of the smoking helmet. Judy is sitting by Chris and Melissa Larzo. I tried to take a picture of son, Luke, but he was in constant motion. They are great folks. You can see the excitement on Nate's face. 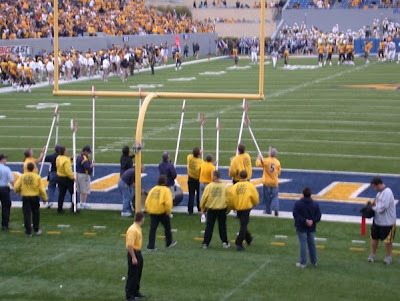 Cheerleaders at half-time are resting in the end zone. I know it is a tough life to lift those attractive ladies! Jeff is checking out the replay on the wide screen TV located at the end of the stadium box. John Hancocks and son Will were also at the game. 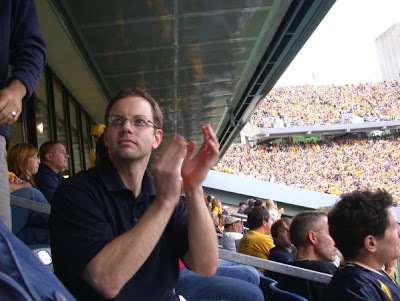 John works with Jeff at Mountaineer Dermatology. It is so super to see the young dads with their families. Another great family! There is our female Mountaineer masccot! Boy, she is much more attractive than the ugly guys that usually serve in that post! 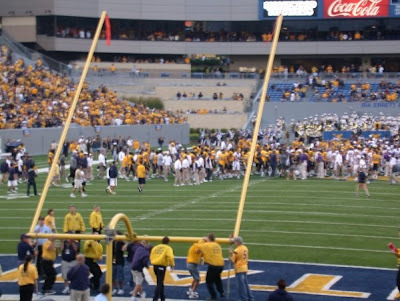 ..to quickly lower the goal posts. What an effective way of preventing damage from unruly crowds. It was a great time, especially since we were sharing it with family!